Carpenter ants had taken their toll on this charming Renton home. 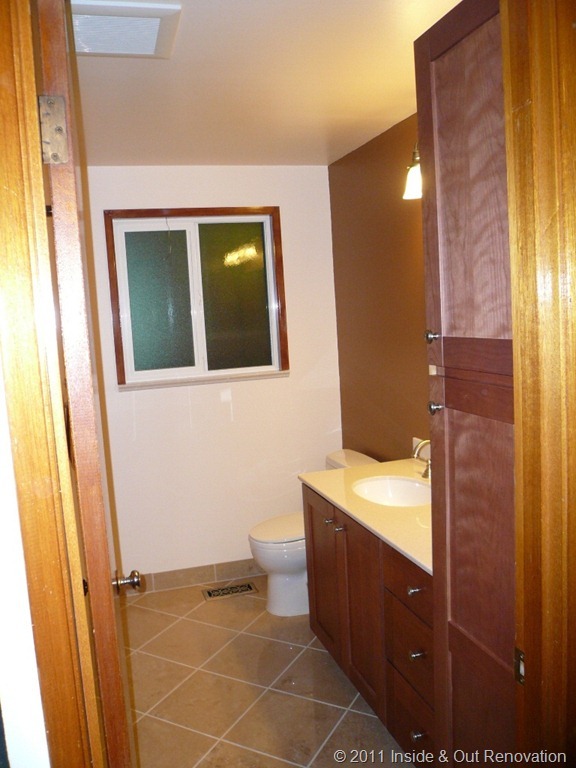 The floor next to the toilet was nonexistent except for the vinyl flooring. New subflooring around the toilet provided for a solid floor under the totally new makeover. The customer wanted to have full height bathroom storage next to the vanity and to also include age-in-place amenities. The Maax tub and cultured granite surround will provide many decades of reduced maintenance around the tub. A Toto toilet ensures trouble free flushing.